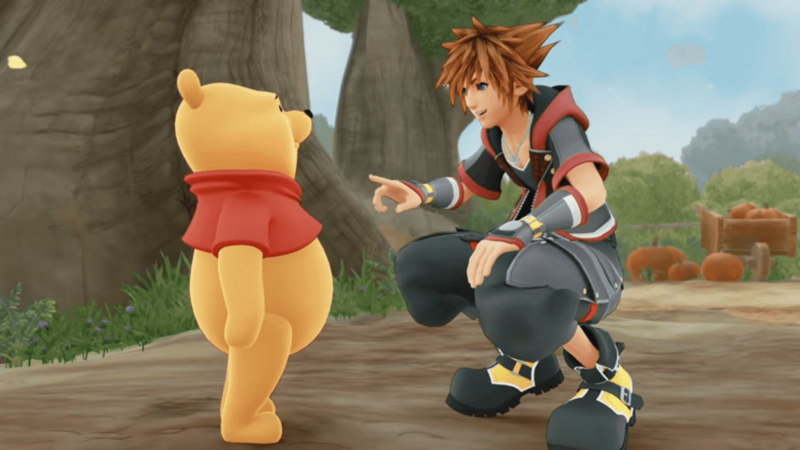 Square enix has released another trailer for the kingdom heart III featuring Winnie the Pooh and 100 Acre Wood uncovering Sora’s team-up attacks with Rapunzel and Captain Jack Sparrow. "Sora returns to 100 Acre Wood with KINGDOM HEARTS III! Check out additional gameplay revealing Sora’s team-up attacks with Rapunzel and Captain Jack Sparrow. Watch the forces of light and darkness gather as the battle for KINGDOM HEARTS approaches! ", reads the trailer description. Those who don't know about the kingdom hearts III, here is an official overview of the game. "KINGDOM HEARTS III tells the story of the power of friendship as Sora and his friends embark on a perilous adventure. Set in a vast array of Disney and Pixar worlds, KINGDOM HEARTS follows the journey of Sora, a young boy and unknowing heir to a spectacular power. Sora is joined by Donald Duck and Goofy to stop an evil force known as the Heartless from invading and overtaking the universe. Through the power of friendship, Sora, Donald and Goofy unite with iconic Disney-Pixar characters old and new to overcome tremendous challenges and persevere against the darkness threatening their worlds." KINGDOM HEARTS III is coming to Xbox One and PlayStation 4 on January 29, 2019.